There are a lot of great reasons to invest in a new Chrysler, Dodge, Jeep or Ram vehicle here at Spitzer Motors of Mansfield CDJR, not the least of which is our money-saving auto financing programs. One of the biggest incentives is all the benefits that come with leasing a Chrysler, Dodge, Jeep or Ram vehicle at our Ontario, OH location. Leasing is a great way to invest in the car you genuinely want to drive at the price you really need. Maybe you’ve noticed all of the shiny, new vehicles lining our showroom windows? Perhaps you’ve added some of them to a mental wish-list in hopes that when you hit the lottery, you can finally afford a brand-new vehicle. Well, with a low-cost lease, you can drive away in your dream car as soon as today because you’re not paying off the full cost of the vehicle. Below, you’ll find a few important facts to consider when deciding is a Chrysler, Dodge, Jeep or Ram lease is right for you. Minimal Money Down. Typically, leasing requires little to no money down. If you don’t have much money to spend on a car all at once, this will be an attractive incentive for you. Low Monthly Payments. Since you’re only paying off the vehicle’s depreciation, monthly payments are much smaller with a lease than an auto loan. Tailored to Suit. Not every driver needs the same from their vehicle’s lease, and being able to customize your lease allows you to keeps costs low. Choose your mileage package and lease term that works best for your budget. More Car, Less Money. Since you’re spending less money upfront as well as less over the course of your lease, you can use that savings towards a more expensive model or more fancy features. No Depreciation Worries. You don’t have to worry about selling or trading your vehicle, so there’s no concern over depreciation of your vehicle’s value. Tax Deduction. If you are leasing the vehicle for purely business purposes, you should consult your tax advisor to see if you can write it off as a deduction. Lease-End Options. One of the biggest selling points of a lease if you end-of-lease options. You have the flexibility to either renew your lease, trade it in for a new model, certify your vehicle and purchase it, or simply return it to an authorized Chrysler leasing center. 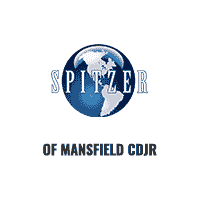 We encourage all Toledo, Columbus and Cleveland, OH area drivers to take advantage of the expertise and resources right outside their front door by consulting the professional financial consultants here at Spitzer Motors of Mansfield CDJR. You can even get a head-start on the credit pre-approval process by completing a brief online finance application, eliminating a great deal of paperwork that used to need to be completed at the dealership. Once we receive your information, one of our finance team members will reach out to you promptly. If you have questions about the application process or the logistics of leasing, we encourage you to reach out to our staff at (419) 524-2511 or visit the dealership at your convenience.